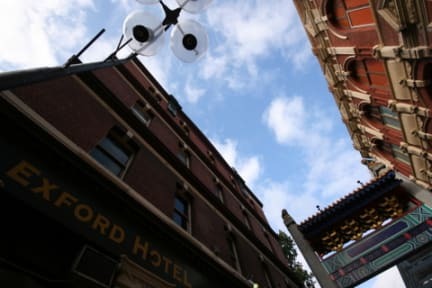 Exford Hotel kohteessa Melbourne, Australia: Varaa nyt! Was ok, but the noise from the streets gets into the room really well. Lack of AC makes it even worse on hot days when you need to keep the windows open. On hot summer days the room gets uncomfortable because no AC. The hostel has no lifts. Kitchen was messy, especially the tables. When you check in they don't properly tell you where breakfast and kitchen are located. They don't tell you that you need to pay to get plates and stuff if you want to use the kitchen, that was a bit confusing.